The Club are currently offering full official club membership VIP for a single one-off payment of 120 Euros. Last Saturday 5 September we played against Valencia Tecnidex. Easy win for La Vila 63-0. Ticket as usual will be 5 euros person, Under 12 free. Yo can buy a season ticket for 40 euros. The Club are currently offering full official club membership for a single one-off payment of 120 Euros. The first team will play again this year at Division Honor level B (spanish level 2). We hope to return to spanish Top-12. The club also run a second team, not so strong as first team, to play at Alicante level, not long journeys, only local, Denia, Alicante, Elche, Torrevieja. Anyone wishing to come along will find La Vila Rugby Club situated at Carretera El Pantano, Villajoyosa. Just take the motorway AP-7 exit Nº 66 (Villajoyosa). at the second roundabout bare left towards the mountain. 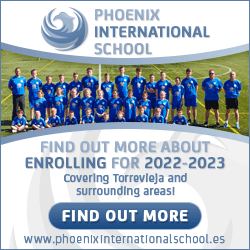 The first team will play again this year at Division Honor level B (spanish level 2). We hope to return to spanish Top-12. Tickets for the games will be only 5 euros. at the second roundabout bear left towards the mountain. 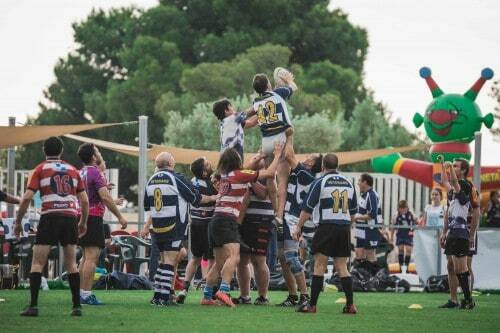 If you are interested in a spot of rugby, a couple of beers and maybe a paella lunch, make a day of it and come to La Vila Rugby Club’s sports stadium situated just a few kilometres outside Benidorm. La Vila Rugby Club has been running since 1982, and has enjoyed good and bad days like any club. The boys train hard – and certainly produce the goods on game day. Here is an excellent review by Russ Pearce about the club in particular and rugby in general. La Vila Rugby Club is situated at Carratera Pantano, Villajoyosa. Take AP-7 exit NÂ° 66 (Villajoyosa). At the first roundabout head for the mountain. The club is about 1km from Motorway exit NÂ° 66. Or take the Villajoyosa by-pass, and take the middle exit. At the first roundabout, bare right towards the motorway entrance and at the second roundabout bare left towards the mountain. If there are any adventurous ladies out there, this one might be for you. La Vila Rugby Club is in the process of starting up a women’s rugby team – the only rugby category not yet offered by the club. The club is looking to find at least 10 players from the age of 18 upwards to participate. 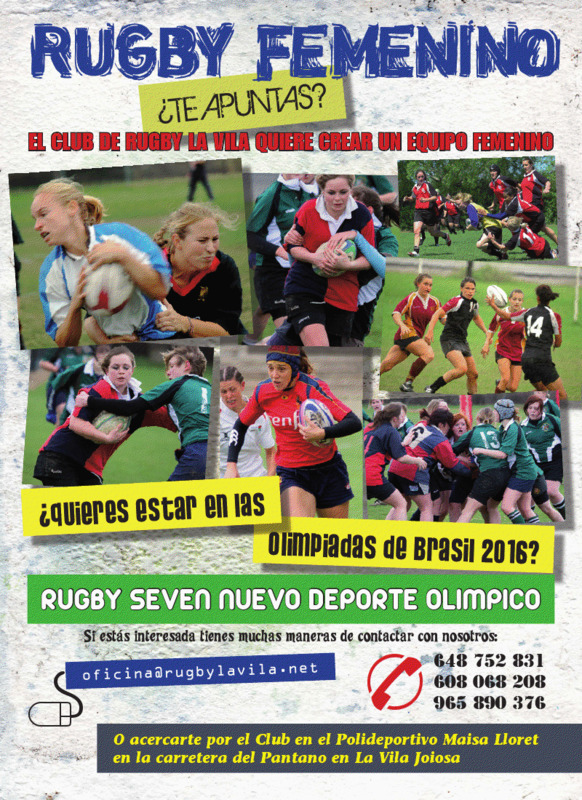 The team will be training in preparation for the Women’s Spanish Sevens Circuit. Besides the national women’s competition, the club is looking to the future with big plans. Seven-a-side rugby will be incorporated as a new Olympic sport in the 2016 Olympics in Brazil. With women’s rugby in Spain taking off, and more government support being offered to clubs, it seems the door to serious sporting opportunity is opening. Club President, Ignacio Da Vila is very pleased at the prospect of adding to Rugby la Vila’s already impressive repertoire. ‘The club is looking forward to this new challenge, and to growing the club in another direction. Maybe the women’s team will be showing our men a thing or two!’ he said. No previous level of experience is required to join the team, which will train at the La Vila Rugby Stadium. All you need is enthusiasm, a sporty nature and the will to work hard. For those interested in becoming part of the team, please send an email or come past the club (La Vila Rugby Stadium, Carretera del Pantano). The web-site is here. One of the great pleasures of the whole ThisIsSpain project is hearing from people who I have met along the way. It was therefore very exciting to hear how well La Vila Rugby are doing this season. I went to visit them recently and enjoyed a day in the sun watching a great game of rugby. I shut up about my true love (rugby league) and continued to enjoy the match even if the finer nuances were missed! Since then, the club have been in regular contact and I’m pleased to hear of their successes. If you are interested in rugby, please make yourself known to them by email or dropping past their ground.